Dry shampoo is one of those things that simply had never mattered that much to me. I have naturally thin hair but a ton of it so the only reason I've used dry shampoo in the past was to extend the time between washing. As a result, in the back of my mind I see it as some generic product to just "get the job done." With all the hype, I had to give this product a try. Because I had never spent over $15 for a dry shampoo or well, $30 if you consider Bumble and Bumble Dry Spun part of that category, I justified the price in the scent which is the perfect blend of clean, floral, and musky yet feminine smell. I would compare it to Georgio Armani Code. To my amazement this product is simply wonderful. My typical go-to hairstyle had always been an attempt at Bridget Bardot meets Jane Birkin meets Zooey Deschanel meets Alexa Chung and with this I can achieve just that and more. In fact, I recently went shorter for summer and still it works magic in keeping my now wavy "lob" texturized instead of it's natural way of falling to it's natural form of Friar Tuck meets Debbie Harry meets awkward 10 year old. This is seriously the top shelf, Don Perignon of dry shampoos. That's not to say that my former "Pssst" brand dry shampoo has not served it's purpose but it's more like Andre's Cold Duck...just to be used on those days where you know you have just *one more day* before washing if there is nothing else. However, one's palate (or palette...ehh...get it?) once refined is destined only to fall in love with the finer things in life and it will be hard to ever look back at the days before Oribe. First, it's freaking $48. Second, after reading all these reviews I thought I would just be blown away by this product and that it would be life changing. As a styling/ texturizing and volumizing product, it did nothing for my hair. As a dry shampoo, it was average. If you want a dry shampoo, save about $40 and use Batiste. If you want volume and texture, use BigSexy. 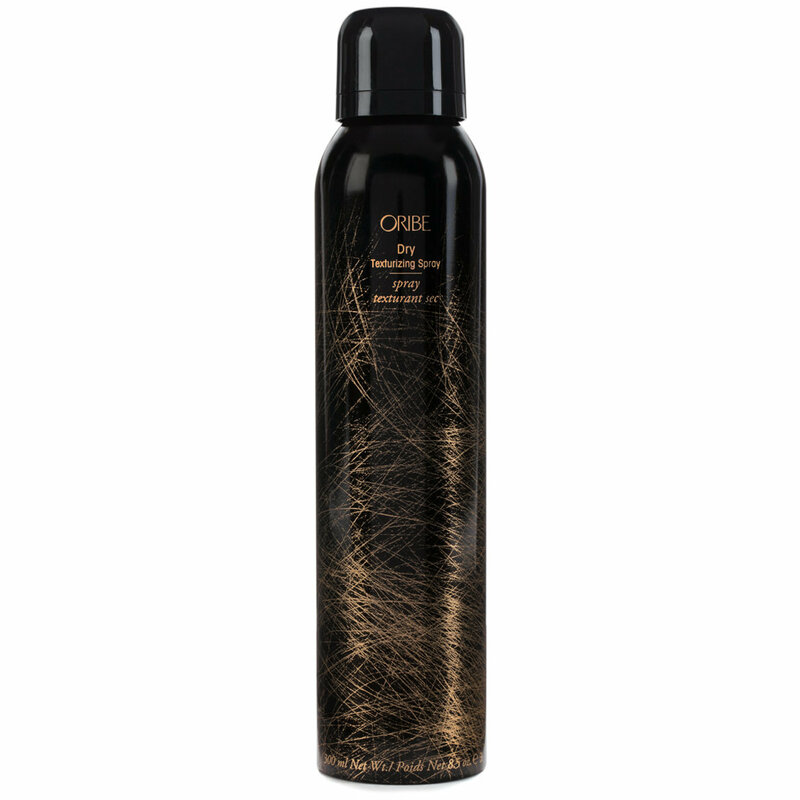 Oribe products itself are very exclusive, which presents a very reputable feedback. Elite Group Salon in Fort Lauderdale, FL is one of the FEW official promoters in the south. The dry shampoo is magic, how does a 8oz bottle carry such impact? It's beyond us! Dry shampoo? Dry. Want volume? Dry. Want texture? Dry. Need hold? Dry. Feeling a bit oily? Dry. 2-3day hair refresher? Dry. Captivating fragrance smell (not your average overwhelming alcohol stench)? Dry Dry Dry!!! I have tried a ton of dry shampoos and nothing at worked. I've tried powders & other sprays and they always smell really bad or just made my hair even more oily. Ever since I started working at my new salon this is all I ever talk/hear about. Sells out quick too so if you have this brand in your area please go pick up a can and you will love it. Smells incredible and it leave a really nice clean dry feeling with just a bit of grip to create volume or curls. Obsorbs oil really good. I use this in my hair when it is a day old. I just spray it into the crown of my hair where it is oily most and just take my fingers and just mess it up a bit. It gives me a nice lift of volume without the tease. I've been into the messy curly boho look and this totally helps me create that look. Effortless perfection as I would call it. This is a bit more expensive then Tresemme or even any Sally Beauty supply brand but it is worth every single penny. I have naturally straight, thin hair and I use this after I run my curling wand through my hair. It lifts and separates my curls and adds so much body and texture. I think it makes my curls last a little bit longer as well. I cannot do my hair without this product and the small size is great for travel. And it smells amazing! Hands down, best hair product I use. I only wash my hair every couple of days, unless I use product in my hair after a date night, etc. I used this spray to give volume and texture, and it was amazing. So effective. This morning, I was shocked to see that my hair was not oily. I was shocked! This is the best hair product I have ever used. I got my hair done at the BirchBox in NYC a year ago, and I was pretty sure she used this stuff in my hair. I finally found it here on Beautylish and I am freaking obsessed! My hair is fine and usually lifeless but this stuff gives it major volume! This is 100% going to be a staple for me. If you struggle with volume, you need this in your life! This product is a must for me. I love how my hair feels even after this spray texturizes it. It smells amazing, and for a higher price point it is definitely worth it. I'm totally in love with this product!!! It smells amazing and luxurious. It helps with my oily roots and gives my hair tons of body!!!! I use a few spritz of this amazing stuff everyday and I'm obsessed. Seriously, once I can tell I'm running low I order a new one!!! Must have product. One of our faves! We highly recommend this and all ORIBE products. We carry the ORIBE line at Gloss Salon in Ridgeland, MS. The entire line is phenomenal. Top of the line in quality. You will not be disappointed with your purchase.